Swayzee Communications and Yeoman Telephone are joining the movement to honor our nation’s Veterans through the Greenlight A Vet Campaign. 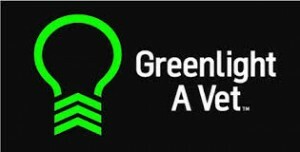 Stop in our office and pick up a green light bulb. Change one light in a visible location in your home or office to green. Keep it glowing all day, everyday as a symbol of our appreciation and support for our veterans.